WTM 2014 ran from Monday to Thursday last week at the largest exhibition centre in London, its now established home. It is true that for many Docklands is not convenient, but there is a free five-minute shuttle bus to London City Airport and the DLR is well sorted with a special show timetable. Visitors connecting from the Tube at Bank were also informed that the best point to change for Custom House is Shadwell (same platform), something of a secret in the past. Crossrail will give very good connections to the West End from 2017 and (as BTN discovered) there is a very easy alternative to the DLR. Take a short walk to the Emirates Air Line (the first urban cable car of it kind in the UK) connecting to North Woolwich, O2 and (if you are that way inclined) an opportunity to play pilot on an A380 or 777 in the new Emirates simulator experience. Or you can do it in reverse. At the show 40 airlines were represented, some with enormous stands such as Etihad (which also included Aer Lingus (2.987% shareholding), Air Berlin (29.21%) Air Serbia (49%), Air Seychelles (40%), Jet Airways (24%) and Virgin Australia (19.9%) and Emirates. 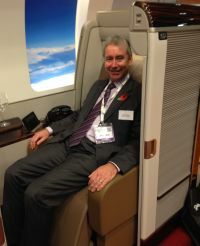 Garuda Indonesia showed their impressive First Class Suite which will arrive at Gatwick next May (See BTN 4 November). Philippine Airlines chose to open its new route from Manila to Heathrow with the airline’s President, Ramon S Ang, on the inaugural flight (See BTN 21 October). 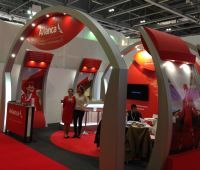 Avianca had a nicely turned out stand and the new LATAM consortium was helping Brazil promote the World Cup. In pure financial terms, without the £2bn worth of deals that the show generates, London is more than £160m better off playing host to almost 50,000 industry professionals attending the show. The catalogue this year ran to a record 480 pages but please for 2014 someone tell the organisers to use lighter paper! Airlines were well represented this year but hotel groups, for the most part, were missing. The very large operators left it to their local franchisee to join forces with regional tourist boards and marketing organisations. Travel Technology had a dedicated section. Former Marks & Spencer boss Sir Stuart Rose was the guest speaker of the WTM Captains of Industry Lunch, which was attended by 200 leaders of the travel industry. He said: “The recession is over. I am pleased to say UK Plc is back in the black and it’s not just about London. People are definitely more upbeat, next year will be a better year”. While he chastised the UK Government for failing to push more green-focused legislation he added that the industry should not see the incorporation of green policies in their businesses as an expensive venture. Instead he said that Marks & Spencer made £50m more in its 2008/09 financial year as a result of the policies. Tuesday was well attended, with the WTM & UNWTO Ministers’ Summit the highlight of an impressive line-up of events, seminars and presentations. 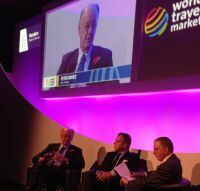 The Summit is one of WTM's highest profile events, bringing together some 200 tourism ministers and their aides. The theme for this year's Summit was the importance for governments to bring air transport and tourism policies closer together. UNWTO Secretary General, Dr Taleb Rifai, said that in the first eight months of 2013 aviation grew by 5.1% and will close the year 4% up, ahead of what the UNWTO was predicting earlier this year. Rifai added that aviation is tipped to grow by 4% in 2014, despite ongoing concerns over taxes and visas. Two sessions stood out on the second day from an aviation point of view. Victoria Bacon, ABTA Head of Communications, reported industry-wide campaign A Fair Tax on Flying had collected 200,000 signatures from the public and secured the backing of 100 MPs and 250 chief executives from UK businesses in calling for the coalition to review its stance on APD (Air Passenger Duty). Moderated by Travel Weekly Executive Editor, Ian Taylor, Ms Bacon said: “It’s damaging growth, it’s damaging the UK economy and it’s damaging our ability to be competitive. “Other governments have looked sensibly at this issue. I don’t think it’s a fight we’re going to win overnight. The UK economy is finally showing some signs of growth, so now is the ideal opportunity. We have got an election coming up so it’s important for us to keep pressure on government”. Sad to say the Treasury is set in its ways and does not wish to lose £3bn per annum that other people collect. Aoife O’Leary, Policy Officer at Brussels-based environmental lobbying group Transport & Environment, was emphatic that in their view the aviation industry had to contribute its ‘fair share’. She said: “We need to at least ensure that there is a level playing field across transport modes. There is no reason why aviation should be a special case in terms of tax, so if it’s not paying VAT or fuel tax, let’s have APD”. She rather forgot that railways are subsidised unlike airlines who have to pay their way. Rob Taylor, New Zealand Deputy High-Commissioner, pointed out that the tax hurts the smaller far flung communities. Business Travel News suggested that point-to-point would be much fairer than the current national capital system. London to Hawaii pays less APD than London to Barbados. The main stage in the Platinum Centre was the venue for a session entitled “airlines in transition; pushing the boundaries, facing the challenges”. Here the two carrier bosses were Christoph Mueller of Aer Lingus and Peter Davies of Air Malta. Mr Mueller, a former senior TUI executive, led the airline to a record operating profit of €69.1m in 2012. His great success has been the North Atlantic and the connecting through Dublin to UK regional points by Aer Arann, disguised as Aer Lingus Regional, run by Aer Lingus but actually owned by Britain’s Stobart Group. 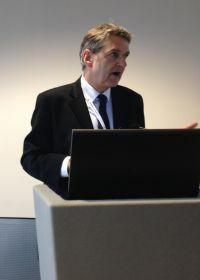 Peter Davies took over a struggling airline in March 2011 having been in the airline industry for 35 years. He is now a member of the IATA Board of Governors. Peter was quick to point out that his was a much smaller airline with just 10 Airbus two-class A320 series competing in an even more competitive arena. In 2012 the airline rebranded in a distinctive Maltese red. Aviation is a topic which can divide opinions. Wednesday saw Heathrow Chief Executive Colin Matthews saying that having two airport hubs in the UK will not work. A UK government commission is currently examining expansion options for the London airports. Matthews was critical of plans for a high-speed train linking Heathrow and Gatwick. "That is not realistic", he said. “We will have one hub or none, we will not have two”, and backed up his argument with examples of how airport expansion had been mismanaged in Shanghai and Tokyo. It was pointed out that New York has two hubs, Kennedy and Newark. 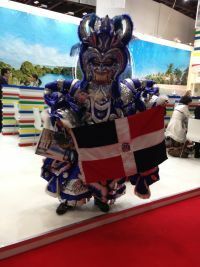 The first three days of World Travel Market 2013, the leading global event for the travel industry, experienced an impressive overall delegate increase of 5%, covering increases in all major delegate categories. The first day (Monday 4 November) of WTM 2013 was a resounding success with invite-only visitor attendance up 12% on last year’s event to almost 9,000 (8,916). On Tuesday 5 November 18,292 visitors arrived, a massive 7% increase on the second day of last year’s event. 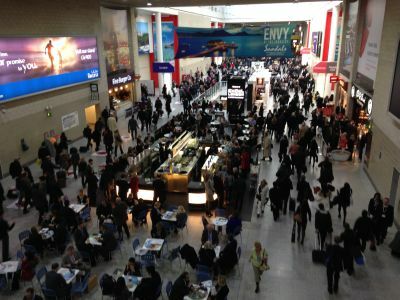 Wednesday 6 November experienced a 5% increase to 14,324, compared to the same day at WTM 2012.